Join the nearly 200 Venues throughout downtown Grand Rapids that open their doors each year to host artists and visitors at the world's largest art competition. Register your Venue before April 5, 2018. ArtPrize® is remarkably open and collaborative by design. Any space within the ArtPrize district that registers during the Venue Registration period and meets approval requirements is eligible to host one or more ArtPrize Artists and organize its own show. Collectively, these independently organized art shows comprise the world's largest art competition, attracting hundreds of thousands of artists and visitors from all around the world. The eligibility of your Venue is not fully confirmed until you’ve completed at least one Connection with an Artist. If an Artist has not agreed to exhibit in your space by the end of the Connections Period, your Venue is not eligible to participate in ArtPrize this year. The ArtPrize district spans three square miles of downtown Grand Rapids, MI, and any space within its boundary can be an ArtPrize Venue. The ArtPrize boundary extends north to Leonard Street and south to Wealthy Street, with its western border marked by Alpine Avenue NW/Straight Avenue SW and its eastern border by College Ave.
Take a look at the map below to see if your space is eligible. You can learn more about the ArtPrize district and its diverse neighborhoods—Center City, Heartside, Hillside, Monroe North/Belknap, Westside, and The Gardens*—on the Plan Your Visit page. *Frederick Meijer Gardens & Sculpture Park and SiTE:LAB are the only venues located outside the boundaries. Learn more about these special exceptions. In addition to prizes awarded by Public Vote, ArtPrize presents Juried Awards that are decided by a group of internationally acclaimed art experts. The Juried Award for Outstanding Venue is the only prize presented to the curator of a Venue instead of an Artist. See previous ArtPrize award winners. All ArtPrize Venues are invited to apply for a Venue Grant. These grants are intended to provide assistance, but not necessarily cover all costs of the exhibition. Recipients will be determined by the Exhibitions Department and reviewed by the ArtPrize Arts Advisory Committee. Eligibility will be based on need and merit. Applications will be accepted during the Venue Registration period, from March 5 through April 5, 2018 at 5 p.m. EDT. Venues must complete registration on artprize.org before applying for a Venue Grant, including paying the $100 registration fee. Click here to apply for a venue grant. Questions about the application process can be sent to venues@artprize.org. To participate in ArtPrize, venues must register before 5:00 p.m. EST on Thursday, April 5. Receive ArtPrize approval; then start planning your exhibit! Your Venue profile is your face both to Artists and the public. There are two Venue descriptions on your profile, one catered to visitors and one to Artists, so keep these audiences in mind when you’re writing. Use one to sell yourself to the public as a place to visit and the other to Artists as a space to exhibit their Artwork. The more information and photos you provide, the better chance you will have of establishing great Connections with Artists. Keep in mind that many Artists are traveling from around the country and the world and may not be familiar with the area, so photos of your space are very important. After registration is complete, you’ll still be able to edit your Venue profile. During the approval process, ArtPrize staff will verify your information. Once you pay the registration fee and submit your Venue Profile, ArtPrize will review everything to ensure that your venue meets eligibility requirements. If you are a first-time Venue or we need to reconnect, we will set up a time to visit your space, talk through the process and requirements, and answer any questions you may have. Once you are approved, your profile will go live on artprize.org. The next step is finding Artists to exhibit Artwork in your space. When Artist Registration opens, you’ll be able to begin browsing registered Artists. Then, during the Connections period, you may contact Artists and Artists will contact you. Once the Connections Period ends, you will be unable to secure additional Artists. Now that your space is approved as an ArtPrize Venue, all you need are some Artists to exhibit their Artwork. Remember, ArtPrize plays no role in assigning Artists to Venues. Instead, you are expected to review requests from Artists and decide which Artwork to display within your Venue. This process of selecting Artists and curating exhibits is managed through the Connections tool on your artprize.org Account and involves just four steps. That’s it! You’re one Artist closer to curating a world-class exhibition. Check for Requests. Registered Artists will begin to browse artprize.org for available Venues right away to find the perfect spot for their Artwork. As soon as the Connections Period opens, they can request to connect with you if they think your space would be a good fit. When Artists request to connect with you, they’ll be listed under “Requested” in the “My Connections” area of your Account. You can also request to connect with Artists if you have a specific vision for your exhibition and see a particular Artwork you believe would work well in your space. Confirm Interest. Review the Artists in your “Incoming Connection Requests” list. When you find ones you like, click “Yes” to confirm that you’re interested in hosting their Artwork at your Venue. Once you do this, they move from “Requested” to “Pending” in the “My Connections” area of your Account and they receive an email notification. Similarly, you’ll receive a notification if an Artist you’ve requested to connect with confirms interest. Discuss Details. When both you and the Artist confirm mutual interest in working together, send them an email or give them a call to discuss the details of exhibiting their Artwork. Make sure you agree on specifics (where the Artwork will be installed, when it will arrive, who installs it, etc.). At this point, you’ll need to draft a Hosting Agreement and provide it to the Artist to sign and return. Confirm Agreement. As the final step, both you and the Artist must confirm that you have signed the Hosting Agreement. You’ll confirm first. Look for the confirmation button next to the Artist in the “Pending” list in the “My Connections” area of your Account and click “Yes”. Then, if the Artist does the same, the connection is complete. If you are also registered for ArtPrize as an Artist, you may exhibit your own work at your Venue provided you use the standard Connections process. If you complete a Connection with an Artist and then later you and the Artist both agree to terminate this Connection during the Connections Period, please email the Exhibitions Team at venues@artprize.org and explain the situation. The Hosting Agreement is a contract between you and and each Artist that details all the specifics of your working relationship. Venues need to provide each Artist with a Hosting Agreement during Step 3 of the Connections process. It must be signed by both parties before your Connection can be completed to ensure that both parties are on the same page about what to expect during the event. ArtPrize provides each Venue with a Hosting Agreement Template that you are able to customize to create your own Hosting Agreements based on your specific needs and what you negotiate with individual Artists. These are the types of details that could be easily missed or miscommunicated without a Hosting Agreement in place and cause unnecessary strain between an Artist and Venue leading up to or during the ArtPrize event. Artists and Venues are expected to negotiate the terms until both parties are comfortable with the details. Note that the entire process of negotiating and signing a Hosting Agreement can be completed entirely through email—simply type your name into the signature section at the bottom of the Hosting Agreement and it constitutes a valid signature. When Artists fill out their Artwork Profile, they’re given the option of listing their Artwork for sale. This feature simply allows interested buyers to make an inquiry, and all details of the sales themselves are negotiated entirely between Artists and buyers. While ArtPrize is not involved in the sales process, Venues may choose to broker sales and take a commission on art sold from their exhibition. However, we recommend that you only do this if you are actively assisting Artists in making sales. Any sales arrangements must be clearly stated in the Hosting Agreement and be agreed upon by both the Venue and Artist. Be cautious. ArtPrize does not accept responsibility for the actions of potential buyers. When Artists offer a work for sale, ArtPrize asks for a price. This is for internal use only and will not be displayed on Artist Profiles or printed on Artist labels. It's up to the Artist and Venue to decide how to communicate prices to potential buyers. All sales during the event are considered pending until the end of the event. Artwork may not be removed from the Venue during ArtPrize. One question a Venue and Artist will face together is who is responsible for insuring the Artwork. In the Hosting Agreement that ArtPrize provides, we leave it up to the Venue and Artist to decide how insurance is covered, but it usually makes the most sense for a Venue to insure. Most Venues will already have an insurance policy they can add a rider to. The annual rate for fine arts coverage is normally between $0.15 and $0.50 per $100 of value, depending on the type of art. (Some insurance companies may want a minimum premium and/or a minimum deductible for issuing the rider.) Once ArtPrize is over, the Venue can request cancellation of the rider and receive a refund for any excess premium paid. The Artist sends the Venue a letter including the name, description, date of completion, and dollar value of the Artwork, along with adequate evidence to validate its insurable value. The Venue names the Artist a “loss payee” on the policy. That’s it. And the cost should be fairly minimal. By comparison, an Artist may have to open a new policy, which could have base premiums of $580 or more. So, whether the Venue absorbs the fee as part of participating in ArtPrize or requests reimbursement from each Artist in the Hosting Agreement, the process is generally simple and costs the Venue far less than it would the Artists on their own. The Hosting Agreement is a contract between you and and each Artist that details all the specifics of your working relationship. Use this template to create your own Hosting Agreements based on your specific needs and what you negotiate with individual Artists. ArtPrize prints one official voting label for each Artwork entered in ArtPrize. Labels contain the title, medium, and voting number, as well as the Artist name, city, and country. All labels contain voting instructions. Voting labels are distributed to Venues. Either the Venue or Artist must place them next to the Artwork before voting begins. This responsibility should be decided with the Artist in advance. Some Artists find the need to print additional labels. In this case, please use the official PDF templates provided below. Please note that ArtPrize does not print Artist statements. However, an Artist statement template is included with the label templates, so you may arrange to print your own or request that artists print them. *Artist Voting Label templates will be available to download in the Artists Downloads section of the website in Summer 2018. ArtPrize is a public event, so there is the possibility that City inspectors will want to visit your Venue and talk about your exhibition if they have concerns or questions about your compliance with City regulations. Download this quick and imformative handout ArtPrize Venue fire safety. Grand Rapids has many resources designated to ensure all participants in ArtPrize experience a safe and enjoyable event. See the City of Grand Rapids website for information about hosting or operating a special event in conjunction with ArtPrize. Works of art that will become permanent fixtures of the Grand Rapids landscape, such as murals and sculpture, or any installation that might potentially obstruct a walkway or other public space, must first be reviewed and approved by the City of Grand Rapids’ Arts Advisory Board. If your Venue wishes to host such an Artwork, email venues@artprize.org and our Exhibitions Team will work with the City to obtain the necessary approvals. If you're planning receptions or other events at your Venue leading up to or during ArtPrize, you can add them to the Events Calendar on artprize.org. Click here to add your event. First time venue? Check out our installation cheat sheet, with information on supplies you might need for installing your Artist’s work and tips for hosting an opening reception! A perfect place to begin, end, or break during your days at ArtPrize, the ArtPrize Clubhouse offers ArtClub members, and credentialed ArtPrize Artists, Venues, sponsors, and media the opportunity to relax and enjoy a complimentary coffee bar, brunchy light bites, and an evening happy hour. ArtPrize is pleased to work with local businesses who provide services that many Venues find useful in producing, shipping, and installing their work. Many of these businesses give discounts to ArtPrize Venues. Check back, as we will continue to update this list. Perspective 3-D is offering affordable 3D virtual tours of your ArtPrize venue. Using 3D camera technology, Perspective 3D quickly captures your space to create an immersive 3D experience that invites online viewers to explore your venue just like they were there in person. Allow guests to engage with your exhibit online, making a connection before they arrive and getting a feel for your unique offerings. 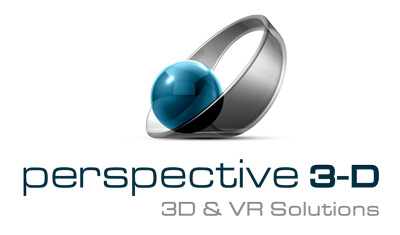 Perspective 3-D virtual tours are just as easy to share as a YouTube video or webpage link, can be embedded onto your website, uploaded to your Google business listing and can be viewed in virtual reality. ArtPrize discounted pricing available. Visit persepctive3-d.com or call Sherry at 616-312-3947. Metro Engineering is a full-service prototype and fabrication shop, including CAD capabilities, CNC machining, casting, painting, and project fabrication consulting. With 11 skilled craftspeople, we have a solid working knowledge of most materials used in the fabrication world. Signature Wall Solutions provides a temporary wall system that is a professionally installed to provide a method to segregate areas and display any type of artwork. Signature Wall Solutions walls have a crisp white finish that can stand independently avoiding any rework on venue structure. Signature Wall Solutions provides installation and tear down of the walls based on the artists and ArtPrize schedule. Four Corners Framing Company: mention this listing to receive 25% off any work needed to prepare for display in ArtPrize! John S. Hyatt & Associates is a full-service theatrical supplier. We have a full stock of lamps, gel, tape, fabric, paint, and other supplies for lighting and scenic work. We also offer lighting and rigging services as well as rental equipment. We're located just across the river from downtown GR. Feel free to call, e-mail, or just stop in! There are no strange requests, just creative solutions! Allegra: celebrating 35 years in business, Allegra Marketing Print Mail is a full service marketing communications provider. We offer marketing, print, and design services, including web, signs, displays, and direct mail. Allegra is a local, family-owned source for strategic marketing with measureable results, located just 15 minutes from downtown Grand Rapids. Corporate Color Graphics: serving West Michigan for over 30 years, Corporate Color Graphics is a locally owned creative source for multiple output and fabrication options. Featuring large-format photographic (Lambda) imaging as well as art canvas output, fine art paper output, backlit display duratrans, banners, custom wall paper, permanent and removable printed vinyl, direct-to-substrate imaging on glass, acrylic, metal, and wood, Corporate Color Graphics features a complete arsenal of display fabrication, prototyping, CNC cutting, laser cutting, finishing, and installation options. We also produce support materials such as flyers, postcards, business cards, signs, and banners. Participating ArtPrize Venues receive a 10% discount on displays printed by Corporate Color Graphics. Pak Mail: 10% discount for ArtPrize Venues! If you need to have artwork shipped, you’ve come to the right place. At Pak Mail, we’ve been packing, crating, and shipping all types of art for 30 years. We have over 400 locations worldwide to help take the headache out of transporting valuable art. We can also help with artwork installation at your Venue in Grand Rapids. Britten Studios: headquartered in Traverse City, Britten is the leading provider of creative production services, event signage, and large-format digital printing. Britten is your source for printing custom, creative displays. Products include large-format printed wallscapes, tents, light pole banners, wayfinding signage, window decals, event booths and displays, and any other specialty printing project. Call us today to get started developing your custom ArtPrize event display! Britten is happy to extend a 10% discount to all ArtPrize Venues. River City Graphics has been a major manufacturer of custom-made quality screen-printed promotional items and vinyl signage for over 25 years in the Grand Rapids area. Our employees are highly skilled and trained professionals that can handle your job from concept to finished product. River City Graphics provides screen-printing and vinyl signage on wood, plastic, paper, metal, glass, and vinyl. ArtPrize Venues can mention this listing for a 10% discount! When promoting your Venue and exhibition, you are not permitted to use the ArtPrize logo—ArtPrize reserves that logo exclusively for events, materials, and locations produced by ArtPrize. Instead, we provide an Venue Icon that Venues can use on promotional materials. You may not alter the Venue Icon. The Icon must appear as it is, without any changes to its color, shape, etc. The following icons are to be used only by official venues of ArtPrize 10. Use of these icons acknowledges delivery and understanding of the ArtPrize 10 Trademark and Styleguide, and represents your acceptance of the terms and conditions contained within. During the event, Venues are required to be open and accessible to the public for at least the minimum required hours listed below, but are welcome to stay open beyond the requirement. If your Venue is outdoors or the exhibit can be experienced as intended from the outside, you do not need to keep your building open to the public, so long as the Artwork is accessible during the minimum open hours. Many Venues choose to make use of volunteers to promote the exhibition, keep the doors open, answer questions, provide security, or guide visitors through the building, and we strongly encourage all Venues to involve their community in hosting an ArtPrize Venue. It’s important to note that ArtPrize itself does not provide volunteers to help with individual Venues. Official ArtPrize volunteers are recruited for voter registration, event way finding, and ArtPrize stores. Venues should arrange for their own support during the event. Venues must pay a $100 non-refundable fee to register. After registration, Venues must be approved by ArtPrize. Venues must sign a Hosting Agreement with each Artist exhibiting at their Venue. Venues grant ArtPrize full rights to photograph the Venue during the event. Venues must be open and free to the public for the minimum required hours during the event. ArtPrize is not responsible for any damages that could occur to the Venue during the event. ArtPrize is not responsible for Artwork left in the Venue after the event. All Venues are eligible to receive the Juried Award for Outstanding Venue.